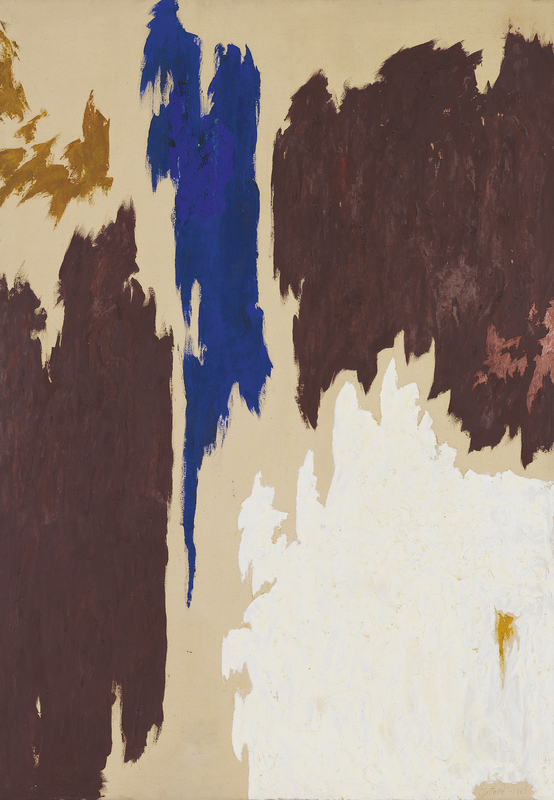 Clyfford Still’s own personal abstract language became consolidated in the mid 1940s and remained unchanged, save for slight variations, throughout his lifetime. His idealism spurred him to believe in art’s ability to transform human life, and his paintings of epic proportions, depicting forms reminiscent of those found in nature that spill over the edges of the canvas, are intended to elicit feelings of liberation in the viewer. 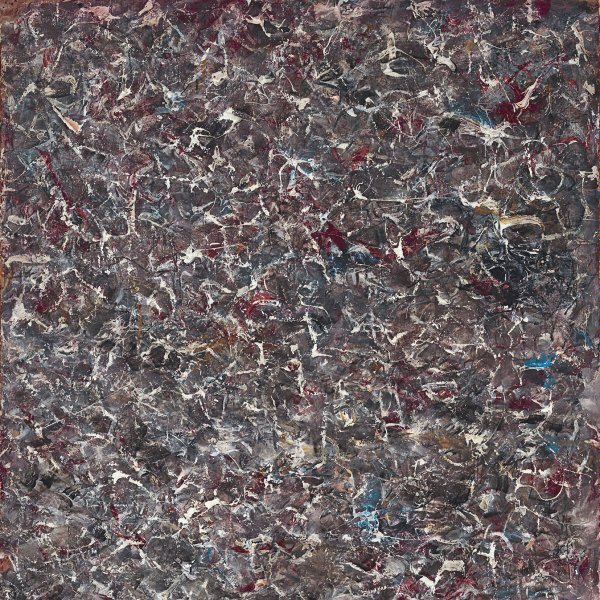 Like many of his fellow American abstract artists, Still is linked to the aesthetic of the sublime. He firmly believed that a painting could convey a meaning exclusively through its formal and chromatic properties, without including any references to the outside world. More than capture an image of the world, Still wished to create a transcendental experience — to cause the viewer to be overawed by the abstract world of the textures and sensuous properties of the picture surface as by a dramatic effect of nature. Whereas the works of other exponents of so-called Colour Field painting, such as Mark Rothko and Barnett Newman, are arranged into very simple, subtle “fields” of colour, Still’s are much more uneven, textured and complex. 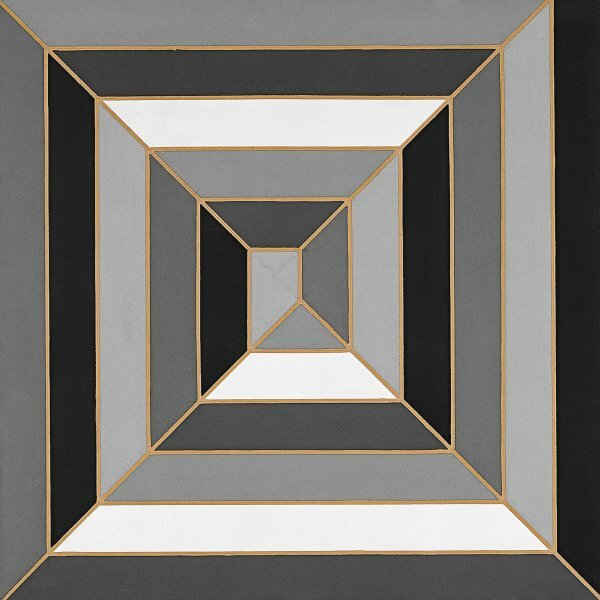 The present painting belonging to the Museo Thyssen, executed in 1965 at his country house near Westminster, Maryland, where he lived from 1961 onwards, relatively isolated from the art world, is a typical example of his abstract language shaped by a series of superimposed forms of different, irregular fields of colour that give the impression of having been violently slashed, leaving the lower layer exposed. Although his works are never titled, the different textures and striking contrasts of light and colour created by thick impasto applied with a palette knife have led his paintings to be interpreted as landscapes. Similarly, although Still always denied any connection with other painters, his oeuvre might be related to the broken, unfinished technique of Cézanne and to certain Impressionist landscapes, particularly those of Claude Monet.